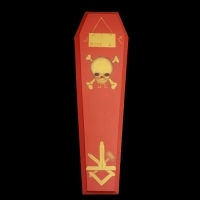 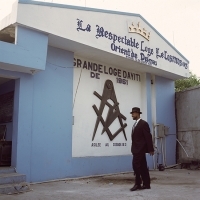 In Haiti, during the colonial era, the Freemasons were one of the few European institutions that allowed black membership. 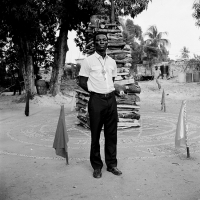 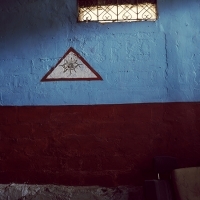 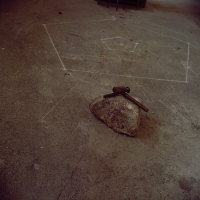 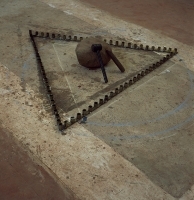 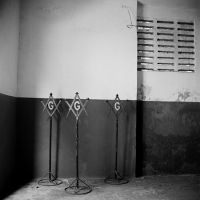 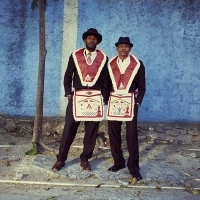 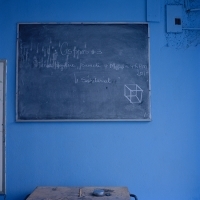 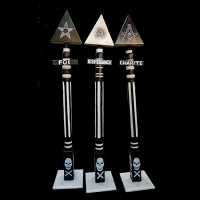 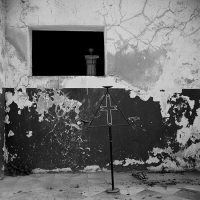 Freemasonry still thrives in contemporary Haiti, and its visual world pervades the Haitian imaginary. 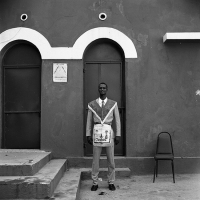 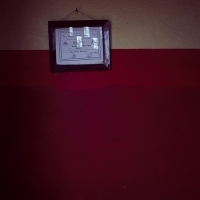 Symbols recur throughout these photographs that once tethered a web of ideas that stretched across the Atlantic, encrypting the most precious values of the Enlightenment. 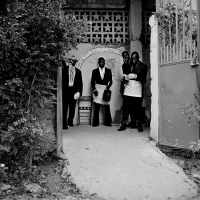 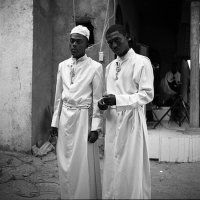 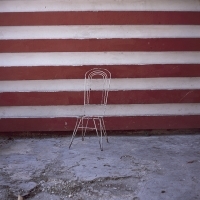 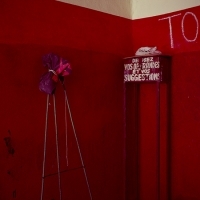 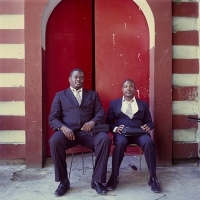 After many years of research and with unprecedented access, Leah Gordon’s photography offer a rare glimpse of Haiti’s urban middle class; exemplars of respectability in a world invisible to most foreign observers. 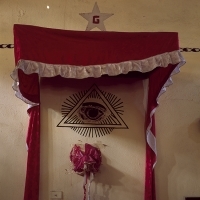 Surveying these photographs reveals unexpected couplings: mysticism and civil society; secrecy and spectacle; solemnity and celebration; patriarchy and grace.